Jesus’ disciples had an early and sudden belief in the resurrection (this was not something that was invented by Christians centuries after the fact). Paul (an enemy to Christianity) and James’ (a skeptic of Jesus) change of heart. Today’s Egg is a means to tie these up for young children. There are four gospels in the New Testament that are written by disciples (Matthew, John) or by people who’d heard what the disciples had taught (Luke, Mark). These gospels tell us what the disciples saw or heard Jesus do. They are the eyewitness accounts of the disciples. What is an eyewitness? (Someone who sees something happen with their own eyes). Many people have attempted to write about the things that have taken place among us. Reports of these things were handed down to us. There were people who saw these things for themselves from the beginning and then passed the word on. The eyewitnesses to Jesus life, death and resurrection wanted to make sure that everyone could hear the message and have their sins forgiven. You are one of the people that the disciples wrote the gospels for! They want you to know that you can believe that they really saw Jesus after He had risen from the dead. 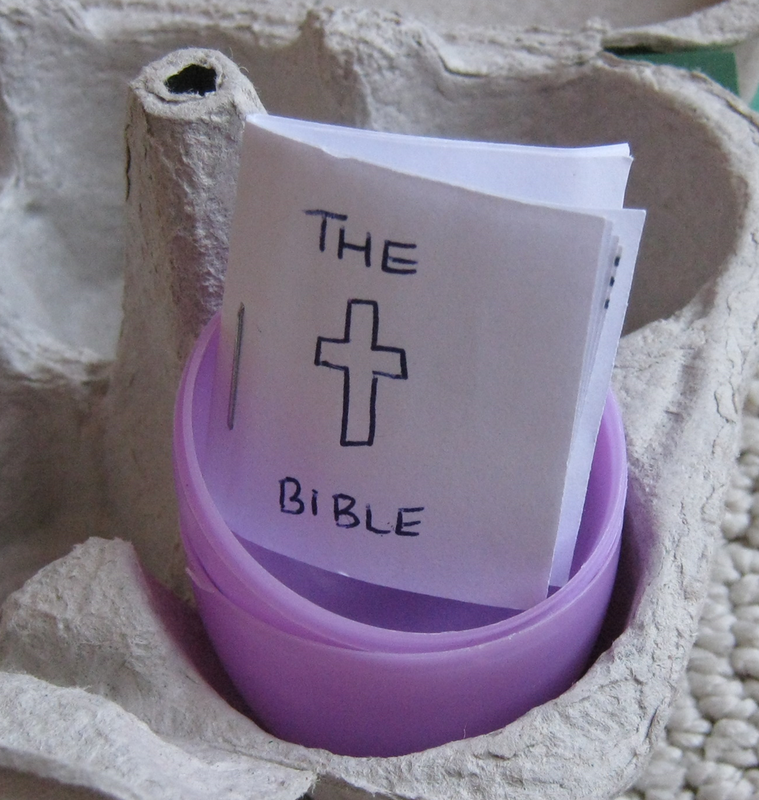 PS – To make our mini Bible, I stapled small sheets of paper together and wrote the following words, one per page (because its more fun to read that way): Jesus rose from the dead. We saw it with our own eyes. From the Disciples. Filed under Activities for Easter, Apologetics for Kids, Can We Trust The Bible and its Authors?